Chilanga UPND member of parliament Keith Mukata and his co accused Charmaine Musonda have pleaded not guilty to a charge of murder. Mr Mukata and Ms. Musonda are accused of murdering a security guard, Namakambwa Kwenda, on May 6, 2017. When the matter came up today, the duo denied the charge before High Court judge Susan Wanjelani. The case has since been adjourned to September 7 and 8 for trial. Allegations in this matter are that the duo killed Mr. Kwenda at Mr. Mukata’ s law firm, AKM legal practitioners in Lusaka’s Rhodes Park area Alex Masala close. Mr. Kwenda 63, who was working for Men in Black security company was stationed at the law firm. The duo is being represented by Lawyers Eric Silwamba, Lubinda Linyama and Willis Muhanga while a Mrs Mwanza is appearing on behalf of the people. This is where we get it wrong since the law doesn’t bar an arrested MP they must be forced to resign it is worth noting that the people of Kafue will have no representation for the duration of the trail how unfair! Can you imagine how long a murder trail takes? 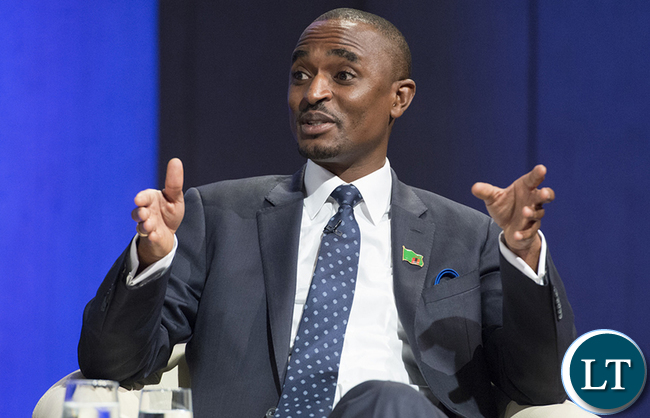 Hon.Keith Mukata must be set free because he is the only wise UPND MP with respect for those in Authority.president Edgar Lungu should use his powers as Zambian President to free Hon.Mukata.yes,its sad that life was lost but am sure it was an accident because this man is a wise lawyer who cant kill someone intentionally.The 4 or so months Hon Mukata have spent in jail is enough punishment!! @”Njimbu” – PLEASE CONSIDER THE PLLIGHT OF THE WIDOW AND THE CHILDDREN THE LATE MR. KWENDA HAS LEFT BEHIND. FOR THE DECEASED TO BE WORKING AS A SECURITY GUARD AT THE AGE OF 63 TELLS A STORY. HE WAS TRYING TO MAKE THE ENDS MEET FOR HIS FAMILY AND HE WAS THE ONLY BREAD WINNER. THE FAMILY NEEDS CLOSURE, SO THE CASE MUST PROCEED TO THE END. ACCIDENTAL KILLING OF HUMAN BEING IS ALSO PUNISHABLE BY THE LAW WITH A LESSER SENTENCE THAN INTENTIONAL KILLING. LET ALL THE TRUE FACTS COME TO THE FORE IN COURTS OF LAW. Madam there are cases that cant be won regardless of which lawyer represents you.What should be asked[and this is where i feel sorry for this poor DPP] how do you send a novice for such a case ati “a Mrs Mwanza”.If she is not carefull[ and by this i mean the DPP] she will find herself in problems.The best she can do to protect herself is just to resign. If Keith is pleading not guilty then there must be a big fish involved in this case as the evidence that was found according to the media was overwhelming. But our state says no one is above the law… is that true when things go this way?